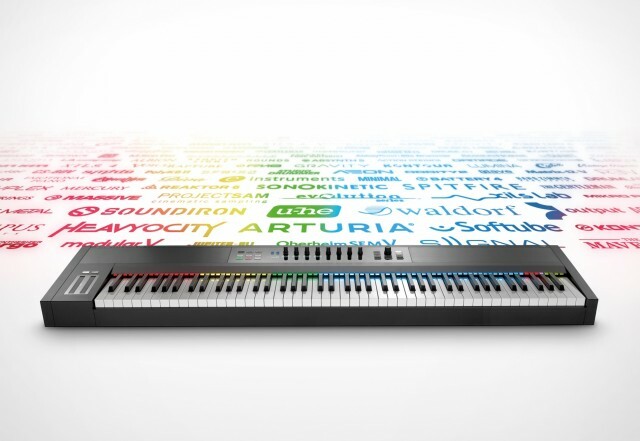 Do you want to buy a keyboard with integrated control for your software? Sure! What if it only controls specific Native Instruments software via pre-defined mappings? Uh… hrm. Now, that offering changes. 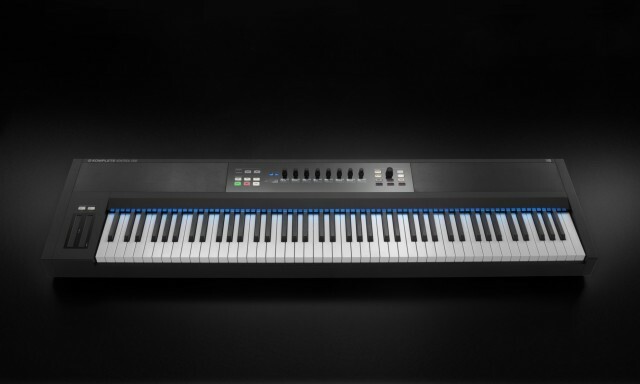 Native Instruments’ KOMPLETE KONTROL S-series keyboards later this month get some updates that will be essential to improving the value equation – a piano-friendly keyboard, third-party plug-in support, and custom control mappings. First, for pianists, there’s the inevitable 88-key hammer-action model. It’s again a Fatar keybed. Actually, to be honest, the affection for 88-keys in the marketplace I find a bit misleading. On an acoustic piano, the extra octaves add resonance and color the sound. On a digital piano, though, you’re left wondering just who is playing advanced repertoire that uses the octaves (most classical literature doesn’t) … on an electronic piano But I digress. So, the important part of this announcement is that the control features are expanded. Third-party plug-in support arrives. NI announced earlier this year that it wanted Komplete Kontrol to be a “standard.” Rather than just blindly assigning those displays and encoders and touch strips to plug-ins, that means working with plug-in developers to make hardware and software feel like an integrated instrument. With the version 1.5 update shipping on the 27th of October, developers of Kontakt and VST instruments will map the hardware to their software. The obvious advantage is seeing useful parameters on the encoders, but you get some other customization, too – touch strip control, mappings of scales, chords, and the arpeggiator (not to mention those colored lights). 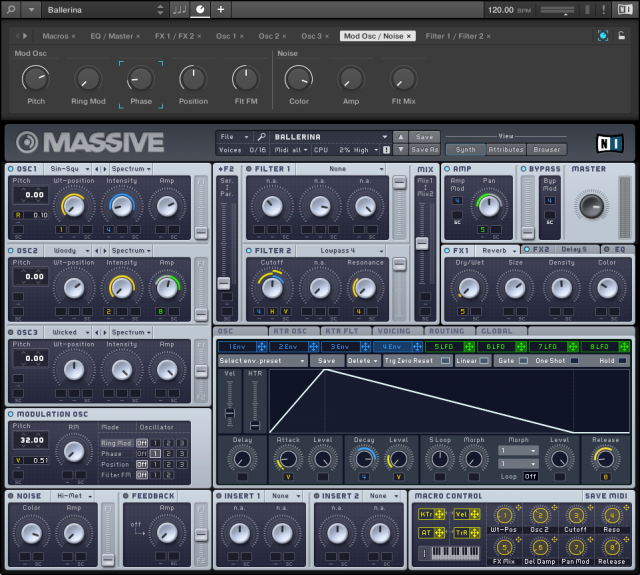 With more sophisticated plug-ins and Kontakt instruments, some of that could in fact be more closely tailored to the available hardware. There’s an impressive list of plug-in makers – some of whom, interestingly, even directly compete with NI in the software market. – Waldorf: Nave et al. – Softube: Heartbeat et al. – Sonokinetic: Cappricio et al. – ProjectSAM: Symphobia et al. You can make your own custom control mappings. This is actually the bigger news from my perspective. Finally, the control panel lets you assign controls to your own patches. This is huge for Reaktor users, I think – and it finally brings back something we had with the now-defunct Kore on the new keyboard. The screenshot here is pre-release (and exclusive to CDM) but should be close to the final form. Honestly, this is the part that makes me want to use this update. Incidentally, I’m hopeful that Maschine hardware alone is granted some of the functionality above, meaning you could, for instance, make custom mappings on the Maschine hardware for controlling parameters on a bassline. I haven’t yet seen the update. Now, all together, sing along – obligatory marketing video. OBLIGATORY MARKETING VIDEO! OH – BLI – GAH – TO – REEE MARK – TING VI – DE – OOOOOOHHHHH!